Register for free and get approved the next day. Advertise using our wide range of banners, our feed or our deeplink generator. Earn a commission up to 11%, on all orders a customer makes within 30 days from clicking on your ad. Use our comprehensive reporting tools to analyze and optimize your performance for a higher return. 48 hours after joining Jumia's Affiliate Program, I was already prepared to quit my fulltime job. A few months ago I joined Jumia's Affiliate Program. I didn't know anything about affiliate business. The supportive team at Jumia helped me get started until I was able to start making money. I'm building new websites every week to increase my reach so that I can double what I'm already making with Jumia. Online shopping is on the rise in Egypt which is highly attributed to the growing internet usage. 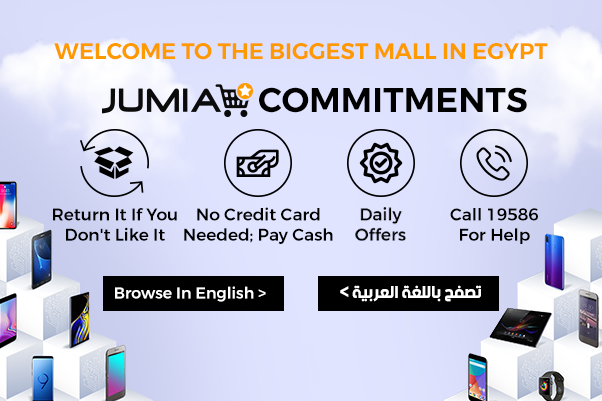 To leverage on this, Jumia Egypt is looking for ways to make the most out of e-commerce, thus, having the Jumia Affiliate program. Jumia Affiliate program is a pay per sale program that lets you make money online in Egypt. To join Jumia Affiliate program, you need an active blog with high traffic. Then, on the Jumia Affiliate program web page, click on the ”Become an Affiliate”button, fill the Jumia Affiliate registration form and wait for an approval notification via the email address you submitted during registration. To make money from the Jumia Affiliate Program, you must market and sell Jumia Egypt’s products. You get paid your commission if someone you refer to Jumia Egypt through your affiliate link buys something. To refer more customers, you are required to place banners and adverts on your blog. You also get to make easy money online by writing about the products on your blog and when posting them, you embed your affiliate links on the blog post. To earn more money online, keep track of your blog performance and keep driving more traffic to your blog. Join the best affiliate programs today and make easy money online through affiliate marketing.